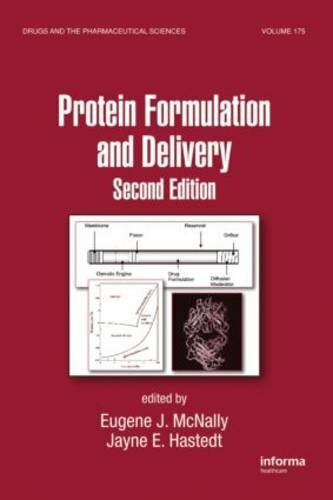 [PDF] Protein Formulation and Delivery, Second Edition (Drugs and the Pharmaceutical Sciences) | Free eBooks Download - EBOOKEE! Description: This title is intended to assist pharmaceutical scientists in the development of stable protein formulations during the early stages of the product development process, providing a comprehensive review of mechanisms and causes of protein instability in formulation development, coverage of accelerated stability testing methods and relevant analytical methods, and an overview of the drug substance manufacturing process. No comments for "[PDF] Protein Formulation and Delivery, Second Edition (Drugs and the Pharmaceutical Sciences)".